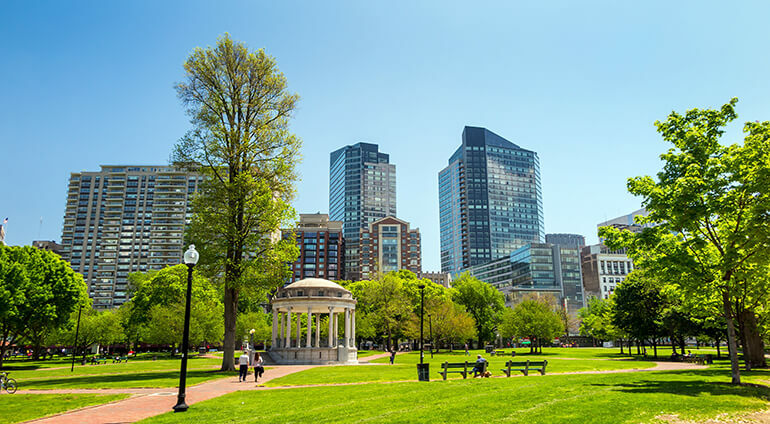 Boston has four distinct seasons, but it is a year round destination. You can visit when the conditions suit you. In the winter there can be lots of snow and temperatures are pretty chilly, and in the summer it’s warm and sunny. Autumn is a beautiful time to visit, just before the holiday seasons when all the leaves are brown, red and orange. Spring is also an ideal time to visit when the gardens are blooming and the city is comfortably warm.